Diamonds: Clarity,sparkle,and on a surface level bling. But the seeker is never drawn to the outer, the seeker looks within. We give meaning to everything that happens to us. We are the deciders. Now is the perfect time decide to SEE. 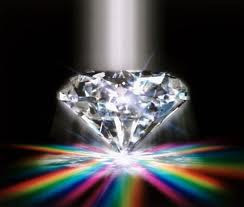 That diamond is just right there in front of you, waiting to be picked up and wore in your thinking/seeing heart as a way of life. Clear understanding of the illusions of the world, able to laugh at it all and keep moving. That's whats being reflected to us right now in the sky. Mercury and Venus are hanging out REALLY CLOSE, closer than holding hands, they are merging with one another right now- in SAGITTARIUS~ seeking truth and justice, seeking to see the love. This is going to continue until the 15th of Nov. when they will separate just a bit- (one degree). A couple of visuals: ice dancing couples,arrow and archer,fingers and keyboard, mind and mouth,heart and actions. Start the book, take the class, open the heart to receive that wish hidden in the mind. BELIEVE. IN SOMETHING! ANYTHING~~~~~ that is YOUR TRUTH. YOUR QUEST. Discover it NOW. Because the energy isn't going to be like this forever. Mars.......is moving. It's going to enter the realm of Virgo, on Nov. 10th, the same day as a Full Moon (the light is flowing in on the money/banking sit-u-ation). Mars in Virgo is detail aware, can carve out what needs improvement like no other sign. It is the thinker who does something with all those thought besides worry. Actually the WORRY take to action when positive. It makes us move, so that which we are worried about doesn't happen. Here's the dialogue- "Gee, when did i get this gut? better do something about it, don't want to have to spend money on new jeans, guess I better start working out". When Mars moves to the 2 degree it will trigger the upcoming Solar Eclipse that is on THANKSGIVING DAY.........so heads up on 14th/15th of Nov. as to how TG is going to go down. And I am here to tell you its going to be one strange day. Mercury turns retrograde the day before, and that means travel crazy- must make adjustments----- and then even more adjustments. Weather will likely be crazy. Who knows maybe the Occupy movement is going to remind us that lots of people in the world have to dig deep to come up with the list of what to be thankful for, and FOOD on the table? What if you are homeless, you don't have a table! This won't be a 'passive' Thanksgiving season. People will show up unexpected and uninvited and the invited might be no-shows. So be flexible and don't over cook so that you aren't WASTING food; Virgo HATES WASTE. (unless its recycled electronic waste). Also going on this month is Neptune's (maya,spirit,film,music)station direct at 28 degrees Aquarius on Nov 9th. Pisces Sun people can celebrate! The path of leaves is finally raked clear. All systems = GO! Its going to be a 'game-changer' kind of month, so like I said......be a decider, and make your future wishes come true by seeing and being. And if you don't think magic and make believe have a place in the adult world, I suggest you read Baba RamPuri's book and have a mind opening experience via his story. There are real Harry Potters' out there amongst us. Rub shoulders.